The Rules and Regulations for the 2018 World Brewers Cup, World Cup Tasters Championship and World Coffee Roasting Championship have now been released, undergoing only minor updates to gender-neutral language and competitor qualification explanations, to keep them consistent with other competition documents. The committees and community review process for the Rules and Regulations is currently being expanded and reformed, and if you have any interest in being involved in that process, please fill out this interest form. The 2018 World Brewers Cup (WBrC) and World Cup Tasters Championship (WCTC) take place alongside the World Latte Art Championship and World Coffee In Good Spirits Championship at International Coffee Week (ICW), the 7th-9th of November in Belo Horizonte, Brazil. 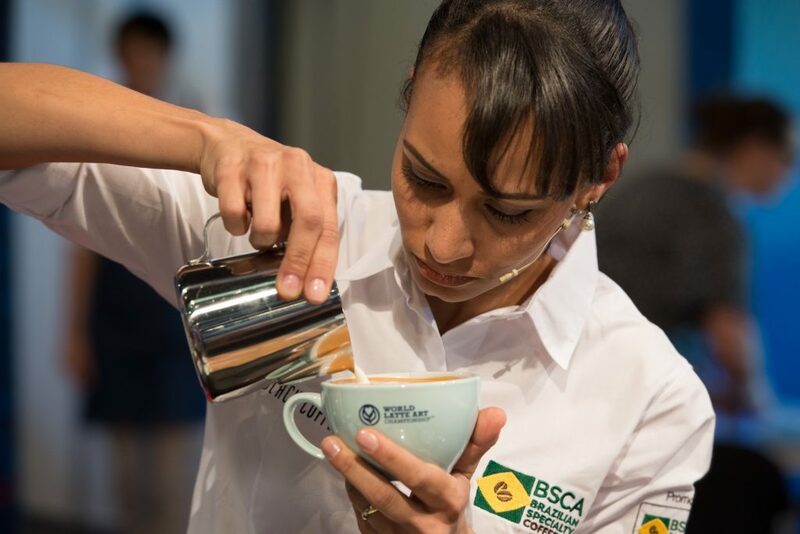 For more information about all of the Brazil championships, you can head to brazil.worldcoffeeevents.org, which is also where each championship will be livestreamed online. If you’re lucky enough to be heading to International Coffee Week to see the championships for yourself, you can find more information on attending the event on their website. The World Coffee Roasting Championship is being targeted for an early January event, with details to be confirmed as soon as possible. The World Coffee Events team deeply appreciates your patience as we confirm the final details. The WCE Rules & Regulations Committee are excited to launch the 2018 Rules & Regulations for the World Latte Art Championship (WLAC) and World Coffee in Good Spirits Championship (WCIGS). A group of dedicated industry professionals review and update the World Coffee Championships Rules & Regulations each year, with the goal of reflecting the high standards of the coffee industry. This process seeks to improve the competitor experience, increase fairness, and honor the support of our community and our sponsors, so the World Coffee Competitions can continue to grow with our industry. Changes this year have focused on the World Latte Art Championship. The Art Bar portion of the Preliminary Round has been streamlined to focus on core bar skills, and as a result will have reduced competing time. To further focus on bar skills, in all rounds where food colouring can be used in designer drinks, competitors will only be able to use one colour. A number of workflow and process clarifications have been made around the provision of milk and coffee, with longer competitor performance times introduced as a result of new minimum shot extraction times. Together these changes should bring an increased focus on competitors’ free-pour skills, and better reflect bar service and the drinks that are served in a café environment. 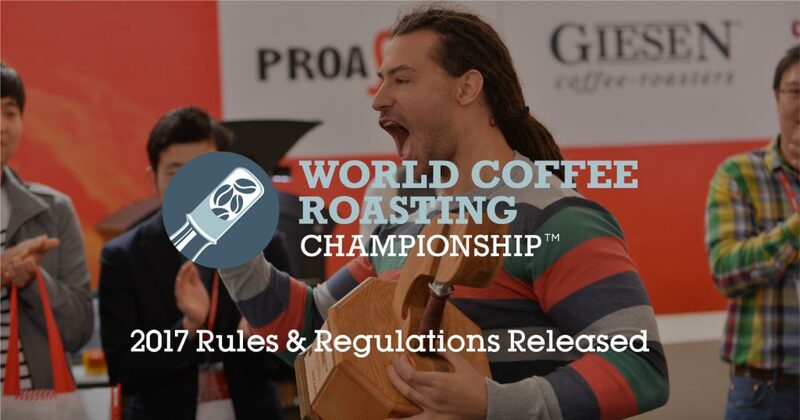 The 2017 updates to the World Coffee Roasting Championship Rules and Regulations have been released. The changes focus on increased production flexibility for national body competitions, and a clearer and more robust cupping and evaluation procedure, with a new production roast evaluation scoresheet. The 2017 updates will come into effect 12-14 December at the World Coffee Roasting Championships at the Hotelex show in Guangzhou, China. UPDATE April 7th 2017: The WBC Evolution Working group have compiled a list of frequently asked questions based on the feedback around 2017's exciting WBC Rules & Regulations changes. Q: Is there an opportunity to ask questions about these changes in person? Yes! Join us during the Budapest Championships at the World of Coffee Budapest show for an in-person Q&A with members of the working group and WCE staff on June 13th. Q. Will National Body Championships have temperature adjustment, multiple layouts, or tech judging modifications in 2017? A: All National Body Championships in 2017 will continue with the existing temperature setting, single layout, and technical evaluation rules. There is a strong desire to minimize changes at National Body events this year to ensure an equally fresh playing field at Worlds for all competitors. Evolving the 2018 National Body format will involve evaluating how best to transition evolutions over from the World Barista Championships. Q: So where is Tech Judging heading? A: As skills & technique progress in competition, there has been consistent feedback that technical evaluation has tremendous value, especially at the regional and national level, but that technical evaluation needs to evolve along with the industry. Removing technical judging from semi-finals and finals of the WBC is a step in exploring the potential for more technical creativity, without substantially modifying the evaluation standards competitors are currently training for across all competition levels. There is a strong desire to evolve technical evaluation and judging as part of the 2018 Rules & Regulations process, so that as competitors progress, technical evaluation can continue to promote best practices, technique mastery, and attention to detail. Q: Can competitors request the setting of the espresso machine pressure, pre-infusion, or individual boiler/group-head temperatures? A: Competitors may only request a single overall temperature setting of their machine, with all other parameters remaining fixed. Additional technical setting flexibility is a consistent request from competitors, and we are excited to be able to offer temperature setting on the VA388 Black Eagle, thanks to the support of WBC Qualified Sponsor, Nuova Simonelli. Further exploration of technical setting flexibility is definitely desired, within the realm of feasibility and fairness for World and National Body event production. Q: Is music choice going away!? A: Only in the preliminary round. Competitors will qualify by performing a focused routine to a shared soundtrack in the first round, and then in semifinals and finals, they give their routine to their chosen music. To learn more about the production tradeoffs that made this change necessary, you can read on below. Q: What does “the flavor profile of the beverage served should support specialty coffee” language mean? The way this sentence was understood and applied was never particularly clear, and many people had questions about the subjectivity inherent in a judge’s preconceptions of how coffee bean should correlate to coffee beverage. To address this subjectivity head-on, that correlation sentence was replaced with “support specialty coffee.” Every competitor, judge, and fan is going to have a different preconception of “specialty coffee,” so this language clarifies that it is up to the barista competitor to serve and describe flavor profiles that support their creation of a positive experience of coffee quality for everyone with their routine. We hope that by removing the “correlation to bean” language will also allow competitors to feel free to present a wider range of coffee origins, varieties, and styles. The “Accuracy of Flavor Descriptors” score should be focused on the clarity and accuracy of a flavor descriptor based on what is served to the judges. The score is not an evaluation of how much the Yirgacheffe coffee being served tastes like a Yirgacheffe should, or a Geisha a Geisha, or a washed coffee a washed coffee, etc. Q: What is happening this year with the WBC Teams Competition and the wild-card semi-final placement? Which competitors are on each team? A: We’re excited to be announcing the 2017 Teams composition at the WBC Q&A Session during World of Coffee (see above for more info). Teams are formed based on the number of confirmed national bodies competing, balanced with historical ranking data. WBC competitors still prepare and deliver their own individual routines on stage. The scores of the individual routines factor into a team’s overall score, with the member of the winning team who has placed the highest in the main competition qualifying for the semi-final round. If the highest placing team member has already qualified for semi-finals, this wild-card position then defers to the second highest ranking member of the same team. A goal of the WBC Evolution Group is promoting collaboration and support amongst team members without introducing substantial additional preparation needs for competitors. This informs the Team Bar shift at the WBC, where team members can work together to engage and serve the audience in fun ways, choosing from provided coffees, ingredients, and equipment. Q: Can different station layouts be chosen for different rounds? A: No, the competitor will choose a single layout for all rounds. Q: What is the “balance” component added to visual evaluation of milk drinks? A: “Balance” considers how the components of the design are positioned relative to the frame of the cup. Harmonious visual balance considers the relative placements of the design components, and the centering of the total design relative to the cup frame. Recognizing excellence in techniques and performance standards is a core value of global barista competition. Celebrating innovative coffee-making and service is also a core value in competition, especially as rounds progress. To better balance these values and create new opportunities for competition progression, in 2017, for the first time, competition format changes are being introduced for use exclusively at the World Barista Championship level, with National Body Championships continuing with the shared common format. 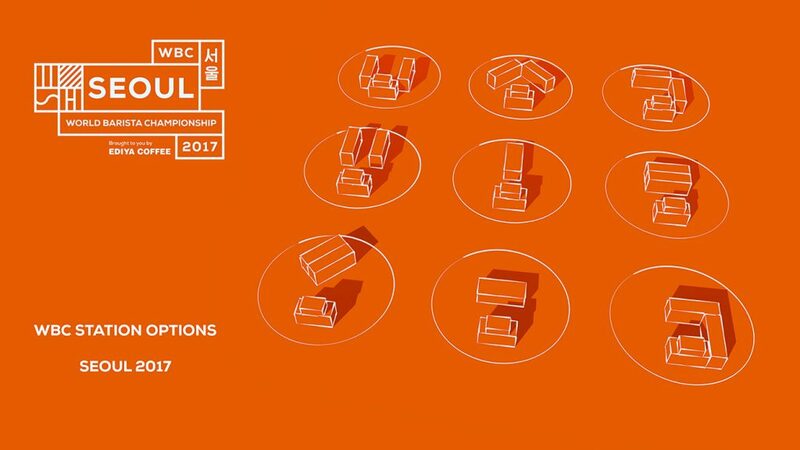 To open-up new service possibilities at the World Barista Championship, competitors will now be able to select from 9 new table configurations, with multiple height & seating options. To allow more espresso extraction control, competitors will be able to request the temperature their espresso machine is set to. The documents have been updated to be gender-neutral, to better support the diverse range of people that make up the coffee community. To accommodate huge growth in competitor numbers, multiple staggered competitors will now perform on stage in the preliminary round. In the semifinal and final rounds, evaluation will shift to sensory and service experience, with no separate technical scoresheet or judge, allowing a focus on the skill and creativity of the world’s top competitors. Standards have tremendous educational value, and demonstrated excellence in technique is key to determining who should compete on the world stage. To affirm these values and ensure a level playing field and equal preparation opportunity for all competitors, National Body Barista Championships will be continue with standard layout and temperature, and technical judging in all rounds. Please find more information about some of the major changes below, as well as the 2017 WBC Rules and a full side-by-side summary of changes. 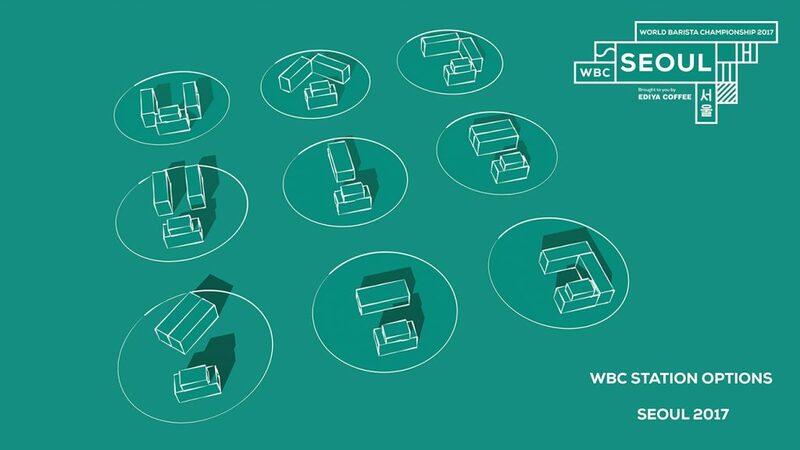 All WBC layouts utilize a 7m diameter no media circle, a 1.8L x 0.9W x 0.9H (m) espresso machine table, and two interchangeable tables approximately 2.4L x 0.75 W x 1.0 H (m) for preparation and/or service. These tables can be put on either face, allowing competitors to select both 0.75m and 1.0m height preparation and service options. The competitor will also be able to choose table or bar height seating options for their judges. Judges may be placed at any table, and may also be asked to stand. Asymmetric layout options may also be mirrored left-right. Inclusivity and diversity are two of the World Barista Championship’s core missions. With an extensive preliminary round that spanned two near-twelve hour days in 2016, the competition continued a trend of the schedule becoming at odds with its mission, with competitors competing outside of show hours. In order to ensure that competitors get to run their entire three-course performance during the preliminary round – whilst simultaneously wanting to avoid lengthening the overall competition – WCE and the WBC Evolution Group conferred with past Champions and top 2016 competitors to find the best possible solution: staggered start times with multiple competitor routines being run on stage at once. The resulting running schedule is more accessible for everyone, including competitors, volunteers, spectators, and staff. Each routine will be individually and simultaneously Livestreamed in full, with opportunities for post-routine interviews. To prevent undue live auditory interference, there will however be only a single carefully chosen soundtrack playing in the arena during preliminary round performances, with individual competitor soundtracks remaining as an option in the semi-final and final rounds. Enabling the WBC to continue to grow sustainably requires hard questions about how to best preserve and balance the many things competitors have said they find important about the WBC experience—things like being able to give their full three-course service, having a video and stream of their routine for supporters, being able to compete at reasonable hours, having sufficient preparation & routine time, and having individual routine music. The WBC Evolution Group and WCE Staff understand that the simultaneous preliminary round presents substantial changes for competitors, and will continue to work on the best ways to maintain the integrity of the WBC experience, while encouraging competitors to embrace the opportunities that are being created for new approaches and new demonstrations of skill. At the WBC, an expanded semi-final round will include performances from the top 15 competitors, plus a 16th wild-card position awarded to the member of the winning team in the WBC Team Competition who has the highest individual score but is not already qualified for semi-finals. Each competing national body is placed in a team based on historical performance data, with each competitor giving their own individual stage routines, while supporting and working with each other off-stage. The composition of the 2017 teams will be announced in June at the Budapest Championships, along with more information about team collaboration and bar service. The scheduling, production, and equipment needs of national barista championships vary worldwide, and so a functional, shared national body championship format is critical to guaranteeing that at the World Barista Championship, every competitor will be walking onto an equally new stage. To ensure there are no unfair preparation advantages for a competitor based on the timing or format of their National Body Championships, a shared layout, temperature, and technical judging approach will be used for National Body Championships, with a separate set of updated template National Body Rules & Regulations being distributed for ease of use. For details on the the table height range, flavor descriptor language and other small changes in the 2017 National Body Rules & Regulations Template, please read the 2017 National Body Competition Summary of Changes here. WCE Technical Judges play a critical role in communicating standards of performance across the globe, functioning as a very valuable differentiator of competitor levels, especially at the national body level. Technical Judging will remain for the 60+ competitors in the 2017 WBC preliminary round, and the World Coffee In Goods Spirits Championship and World Latte Art Championship will continue with technical judging in all rounds. Technical judging will continue to be supported through certification in the World Coffee Championships, as well as through the World Competitions Education Program (WCEP), and additional education initiatives. There is every possibility that following the success of the 2017 changes, more changes will evolve and the national body competitions will continue to vary from the WBC. WCE and the Working Group are however very aware that the national body competitions are the road to the WBC and they have a huge scope. Analyzing the success, value, and production needs of the 2017 WBC format progressions will drive the consideration of how to continue evolutions in the 2018 WBC and 2018 National body competitions. All of these changes are part of a multi-year process of examination, consideration of feedback, and exploration of future potential, driven by the dedication of industry experts and competition veterans in the WBC Evolution Working Group. Evolution began in 2016 in Dublin with the move from a cappuccino to a milk beverage course, the specification of a common espresso machine and grinder set, and the introduction of the WBC Teams Competition, and based on positive feedback and a widely communicated desire for changes, the WBC Evolution Working Group is excited to bring these new format progressions to the World Barista Championship. Come see all the excitement live yourself, 9 Nov – 12 Nov at Cafe Show Seoul, where the best coffee competitors in the world face-off at the 2017 World Barista Championship, with 2017 Title Sponsor Ediya Coffee.